Mackaye Harbor Road, Lopez Island – Experts in Puget Sound coastal processes, management, and cost-effective design since 1993. Erosion behind the bulkhead, nearly to the road. 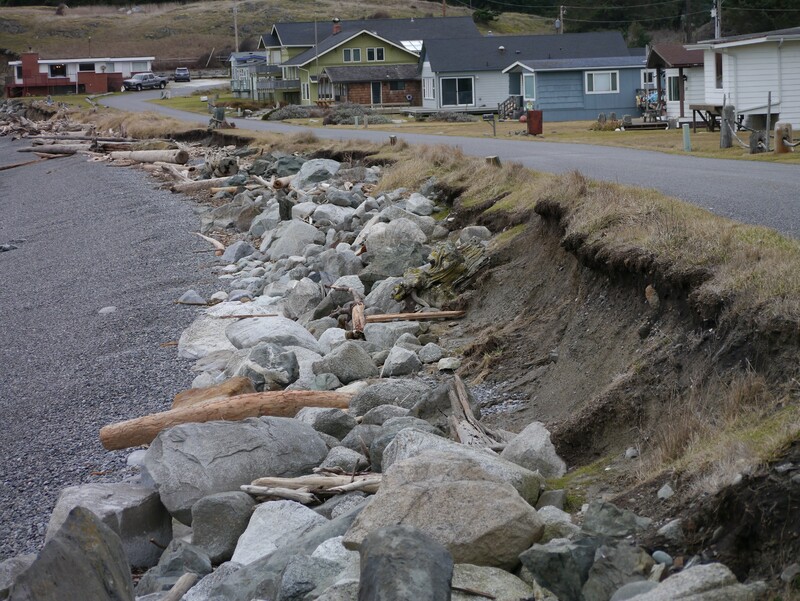 Coastal erosion and high water levels are threatening sections of Mackaye Harbor Road, located on southern Lopez Island, in San Juan County. 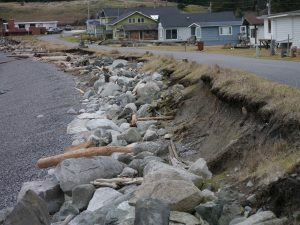 The county road is the only access for numerous private homes, Agate Beach County Park, Salmon Point, and Iceberg Point. Future sea level rise puts the current road at an additional risk. 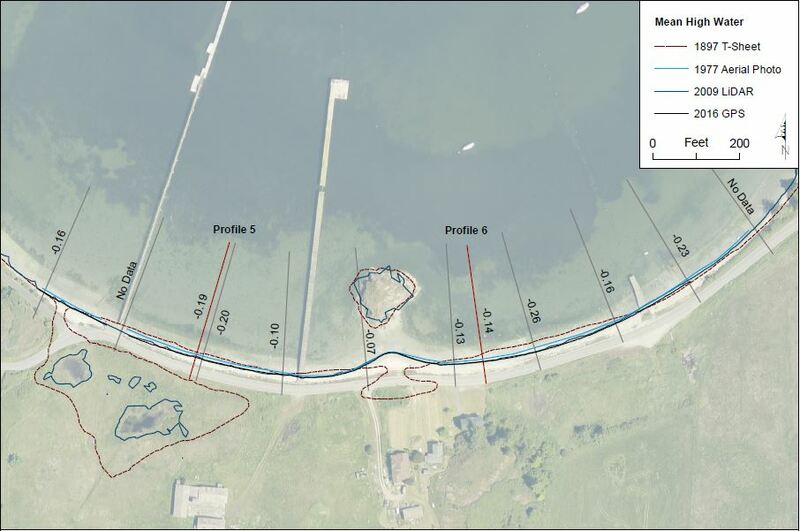 CGS, working with a civil engineering firm, assessed coastal processes, current conditions, and historical shore change for the Mackaye Harbor Road sections along Barlow and Outer Bays in order to create alternatives including defending the road in place and relocating the road inland. 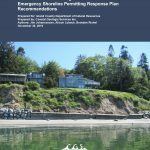 CGS incorporated sea level rise projections and shore armor technique alternatives, complete with construction and permitting needs, to bolster the larger road relocation feasibility report. CGS performed several site visits documenting the road, bank, and beach conditions. In-house work included historical air photo analysis to determine past shore change, investigations into site geology and nearshore habitats, and research into coastal processes at the site. CGS staff also presented at public meetings. 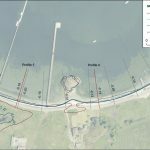 San Juan County is starting to develop a detailed approach and funding mechanisms for the relocation of Mackaye Harbor Road, and is planning for the higher sea level rise estimates developed for the region. 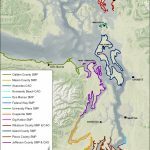 Click on each image below to learn more about CGS coastal management projects.